I enjoyed attending the Winston-Salem Forsyth County Schools’ Spring Extravaganza Art Exhibit at the Milton Rhodes Center for the Arts. The exhibit will run from 3/13 – 3/20. I am proud of my 4th grade Sherwood Forest Elementary student, Andrew, for having his ‘Positive/Negative’ piece selected for the Exhibit. There are a lot of talented artists in our Forsyth County School System. 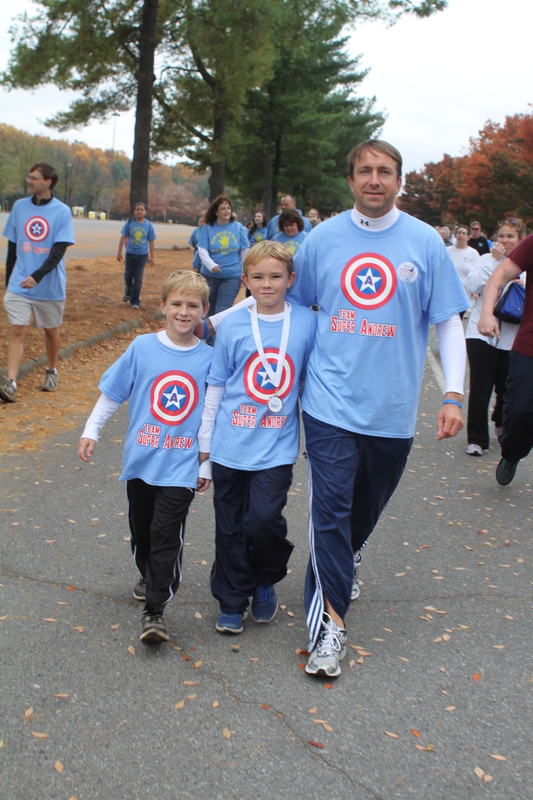 Proud to take some time off from campaigning to participate in the JDRF Winston-Salem Walk to Cure Diabetes.This cause is very important to us because our oldest son, Andrew Thomas, and our niece, Sarah, as well as a number of amazing people in our community have to deal with Type 1 diabetes on a daily basis. JDRF is leading the way in funding research and studies to cure, treat, and prevent Type 1 diabetes. All of the JDRF staff, event planners, volunteers, and sponsors should be commended for making this one of the most successful Walks ever. Together we can cure this disease. Go Team Super Andrew! I cheered on my Father-in-Law, Bill Smith, this morning at the North Carolina Stroke Association’s Cycle for Life event at Hanover Park Vineyard. He suffered a massive stroke in 1994. 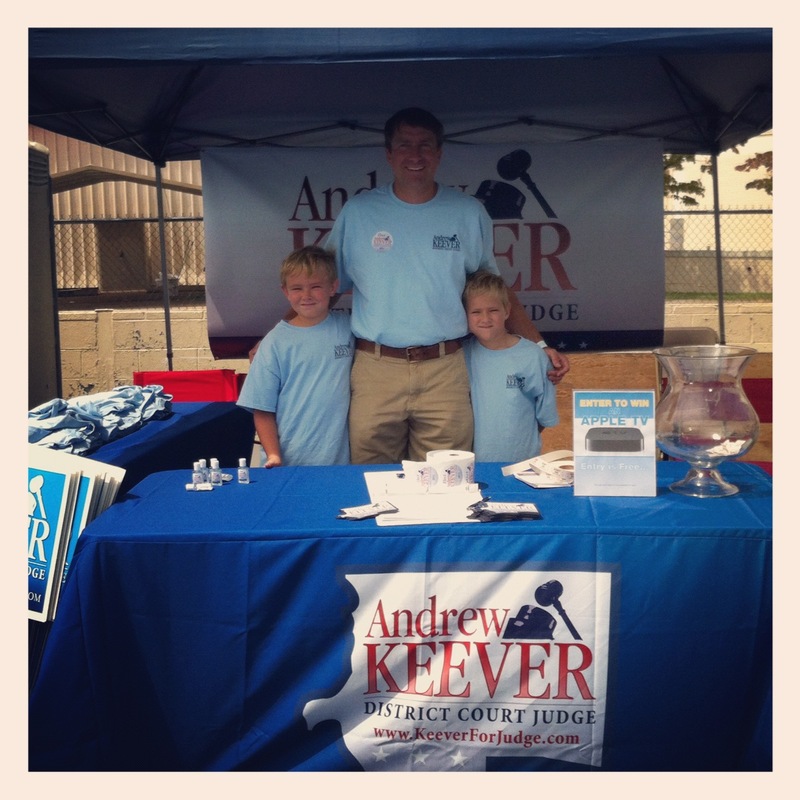 This year he had a team of riders, all wearing t-shirts representing my campaign for Judge. Special thanks for his support and congratulations to his team on completing yet another year of the Cycle for Life. He is an inspiration for us all! 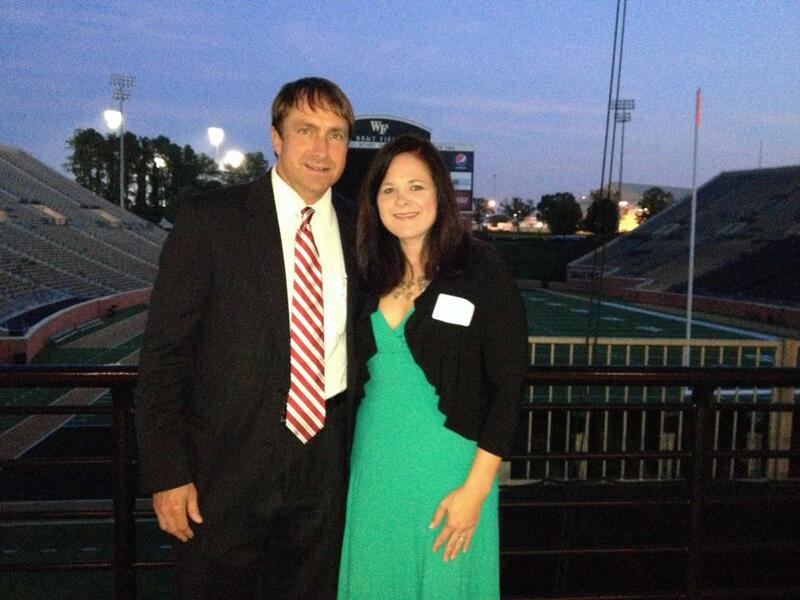 My wife, Meg, and I enjoyed a wonderful evening last night attending the 2012 National MS Society Dinner of Champions honoring Murray Greason. This event helps raise money to support the National Multiple Sclerosis Society – Central North Carolina Chapter to fund research and provide services for people with MS. We have several dear friends that have MS, and we are very hopeful that a cure will soon be found for this disease. Thank you to Paul Donohoe for including us in this special event! My family had a great time at Rock the Block today in downtown Winston-Salem. 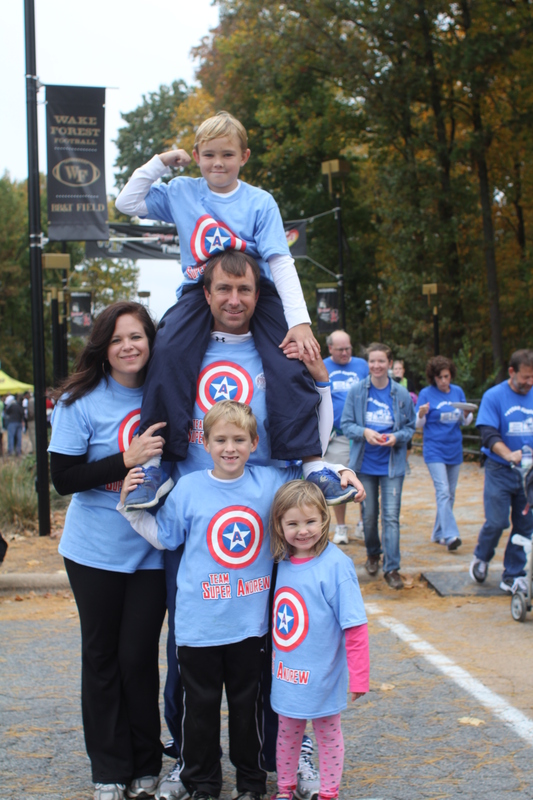 Our community is so fortunate to have wonderful family-oriented events! I really enjoyed meeting and greeting new and old friends. Thank you all for the encouraging words and offers to help with the campaign. You all ROCK! I want to share with you this important public service message provided by the cast of “West Wing”. It is a great reminder for all of us to remember to vote on the non-partisan races towards the end of the ballot. All of the Judge positions will fall within this non-partisan section of the ballot. I ask for your vote this election. Thank you for your support! Stop by our booth at the Winston-Salem Air Show. We have free t-shirts, car magnets and yard signs. Also, we are raffling off an Apple TV! We would love to see you at this great event.